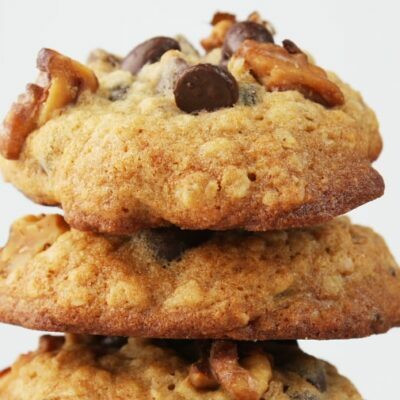 These Soft and Chewy Chocolate Chip Cookies are going to make your day so much happier! You can get a pretty good idea of the texture of these cookies by taking a good look at the photos. They are definitely not a substantial, thick cookie with crunch. Instead, these chocolate chip cookies take on a chewy texture, and they softer instead of crunchy. If chewy chocolate chip cookies are your thing, then this is the chocolate chip cookie recipe for you! 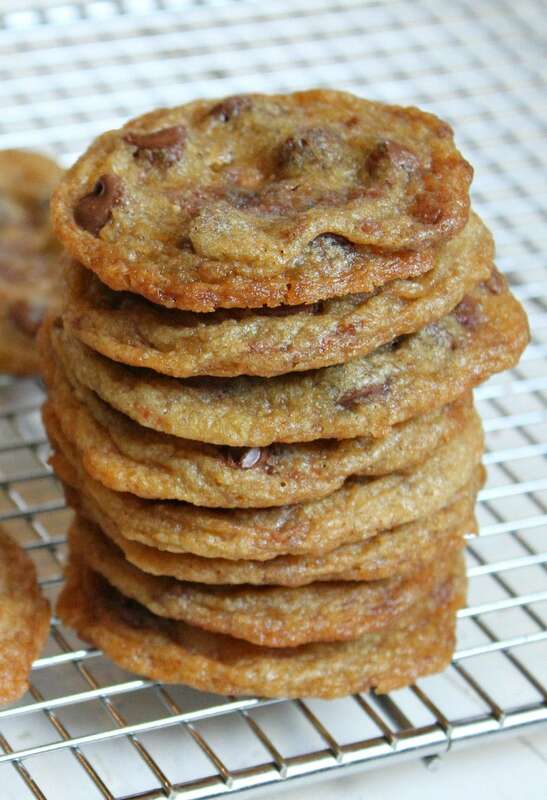 What I like about chewy chocolate chip cookies is that they keep their chewy texture, even if they’re a few days old. 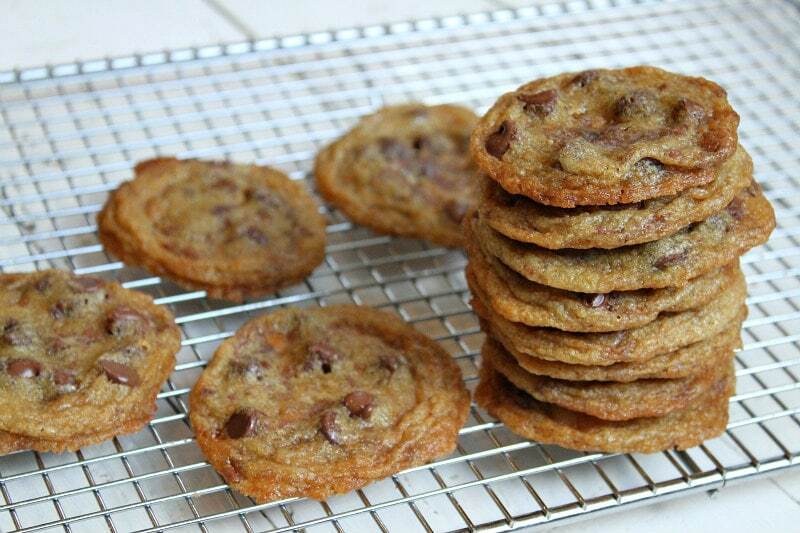 If you bake traditional chocolate chip cookies (Toll House recipe, for example), they’ll harden beyond what is appetizing after a few days. These cookies stay nice and soft and chewy! Even though I’m referring to these as “soft,” they’re soft in the sense that they aren’t crispy. But they aren’t fluffy soft or anything like that. They’re simply bendable instead of hard. 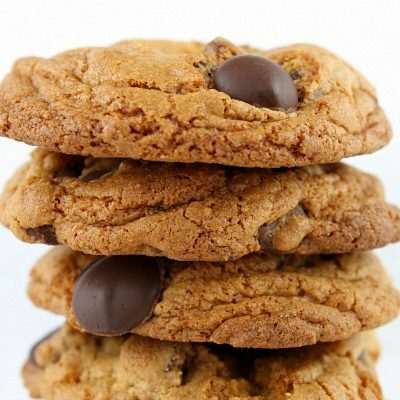 The variety of chocolate chips you choose to use for your chewy chocolate chip cookies is completely up to you. I tend to prefer milk chocolate chips, but I know a lot of folks out there lean toward the semi-sweet chips instead. The chocolate chip aisle in the markets these days offers quite a few options! As with most chocolate chip cookies recipes, these cookies will stay pretty fresh for a few days at room temperature if they’re stored in a sealed container. 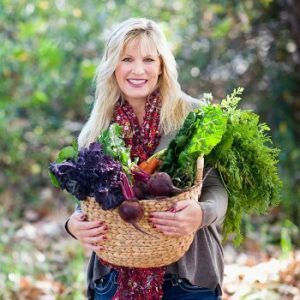 I like to store them in a freezer zip baggie and keep them frozen so I can pull them out when the craving strikes… or when I want to add a couple to my son’s lunchbox. Try them out, and let me know what you think! 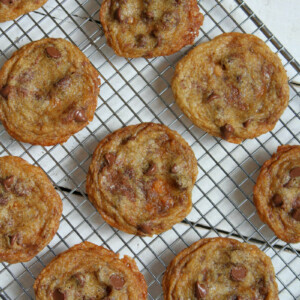 This recipe originally came from one of my cookie cookbooks: Martha Stewart’s Cookies. 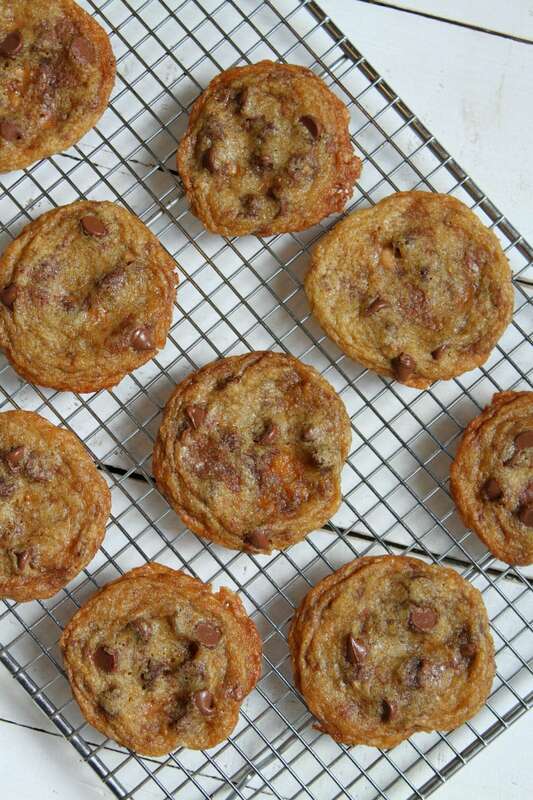 This cookie cookbook has a few classic treasures in it, and this recipe is one of them. 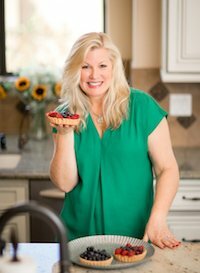 If you’re looking for more good cookie recipes, you might like to try my Butterfinger Chunk Cookies or these Chocolate Wows. Chocolate Kiss Cookies, Brookie Cookies and Chocolate Dipped Peanut Butter Cookies are delicious cookie recipes too! 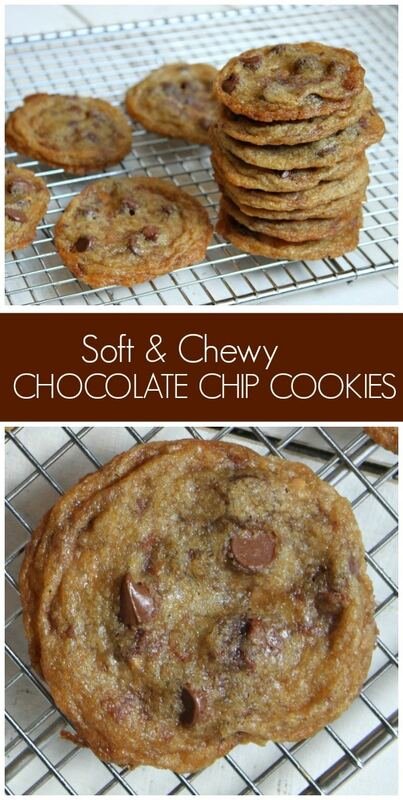 If soft and chewy is the texture you love in a cookie, these chocolate chip cookies are for you! In a medium bowl, whisk together the flour and baking soda. In a large bowl, use an electric mixer to combine the butter and sugars. Mix on medium speed until pale and fluffy, about 2 minutes. Reduce speed to low. Add salt, vanilla and eggs; mix until well blended (about 1 minute). Mix in dry ingredients, and then stir in the chocolate chips. 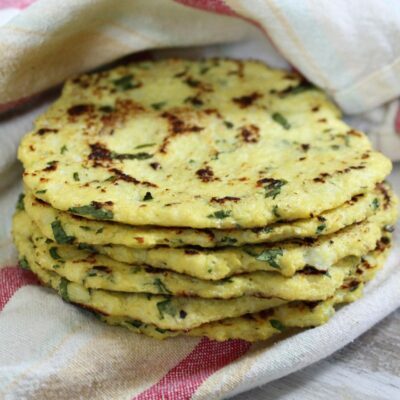 Drop heaping tablespoons of dough onto the prepared baking sheets, spaced two inches apart. Bake cookies until edges turn golden but the centers are still soft, 10 to 12 minutes. Let cool on the baking sheets for a few minutes before transferring the cookies to a wire rack to cool completely. Cookies can be stored between layers of parchment in airtight containers at room temperature for up to 1 week. These is an Amazon affiliate link included in this post. I could eat that whole stack! I love chocolate chip cookies SOOO much! 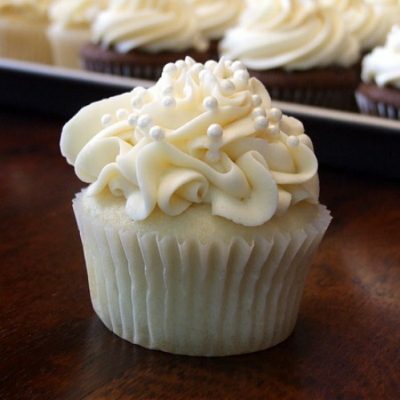 I love that chewy texture! It looks really easy to make! Chewy cookies are definitely the way to go! I need a whole batch of these. The caramelization happening with these cookies is SO amazing! 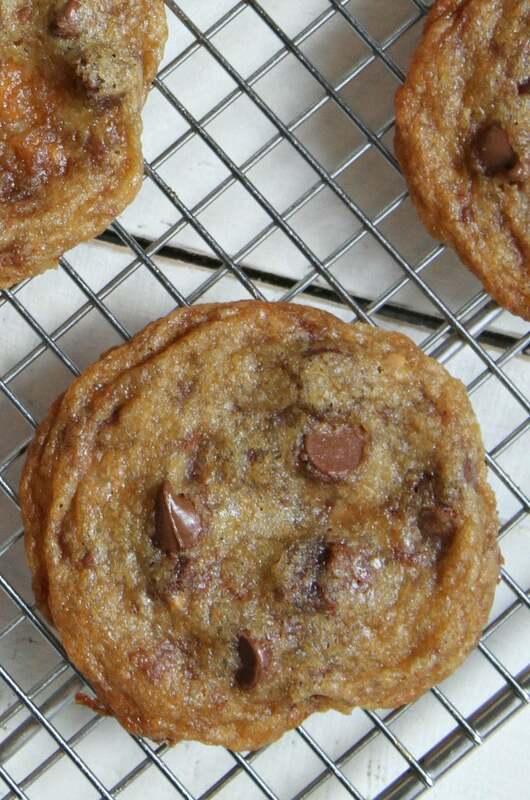 These are absolute chocolate chip cookie perfection! So delicious! 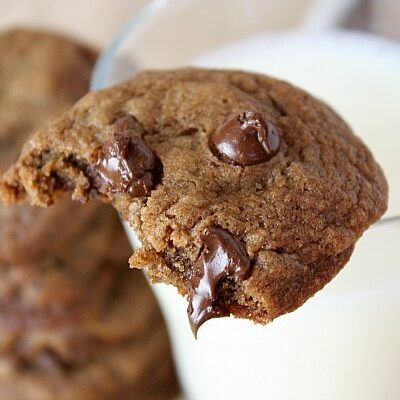 Nothing beats chewy chocolate chip cookies, especially when they look this good. I’ve never seen a chocolate chip cookie I didn’t like. Bring on the milk and cookies! 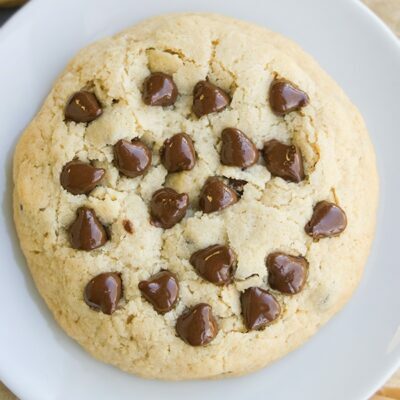 I love chewy chocolate chip cookies! These look so delicious!